In their October/November 2017 issue, Traditional Home magazine has a feature on still life photography. "Still Riveting" delves into my style, my career and my recent exhibition at the Colnaghi Gallery in London. Judith Dobrzynski kindly writes, "With the eye, or perhaps the soul, of an Old Master, Paulette Tavormina is a rare bird among contemporary artists." I'm thrilled for PHOTOFAIRS Shanghai, which opens tomorrow and runs September 8 - 10. It is set to be the most international fair to date! Robert Mann Gallery will be showcasing two of my photographs. "PHOTOFAIRS Shanghai returns for its fourth edition in 2017 from September 8-10 at the Shanghai Exhibition Center with a lineup of 50 galleries and institutions from 16 countries and 28 cities. Widely recognized as Asia Pacific’s most authoritative platform on contemporary photography, PHOTOFAIRS Shanghai is a key driver of China’s maturing photography market." The photographs to be displayed are both from my Natura Morta series. As I settle back into New York City life, I am filled with gratitude for my time in London. The Colnaghi show was a wonderful success and an experience which I will cherish forever. The exhibit closed last Friday, June 23. The photographs will be in the London gallery until the Seizing Beauty show travels to the Colnaghi gallery in Madrid for the Fall season. Here are some photographs of the gallery, the Natura Morta window display I created, and some selections from the opening night event, which was extremely fun and inspiring. Thank you to all who contributed to the show and all who attended; it meant the world to me! This week, Sotheby's presented 'Luxe: The Art of the Table', a celebration of silver, European ceramics and 19th-century furniture and decorative arts. I was thrilled to collaborate with the team and take the photographs for the exhibit and catalogue. I styled and photographed the vignettes to showcase the luxury and artful craftsmanship of each piece. For the exhibit, the photographs were blown up and displayed as vinyl. Paulette Tavormina was born in 1949 in Rockville Centre, New York. She is largely a self-taught photographer well known for her work creating painterly still life photographs. Tavormina’s initial interest in the medium stemmed from her time in the 1980s working on corporate advertising campaigns researching, creating, and styling props for photographs. Becoming intrigued by the medium, she enrolled in courses at the International Center for Photography in New York in 1986. Then moving to Santa Fe, New Mexico, she took classes in photography to perfect her photographic and printing techniques. Combining her passion for the culinary arts with the photographic medium, Tavormina would become a commercial photographer and food stylist shooting countless cooking books while also becoming a prop specialist creating elaborate food scenes for such movies as The Astronaut’s Wife, Nixon, and The Perfect Storm. Involved earlier in her life in the 1980s with Sotheby’s, Tavormina returned to the auction house as a photographer for the company after a period exploring her ancestral roots in Sicily. Having been introduced by a friend to 17th century Dutch and Spanish still life paintings by such artists as Francisco de Zurbarán and Giovanna Garzoni, they would greatly influence her most well-known series, Natura Morta. By 2008, Tavormina had perfected her lighting and composition for the series and it was first exhibited at Sotheby’s. She currently lives and works in New York City where she continues to create painterly still life photographs. You said that you were a “collector” before you became a photographer; what drew you to pick up a camera and shoot what you had been collecting? Yes, I have always loved the “magic of things” that tell a story. In my baskets of found items, everything is a treasure. My grandfather’s dice, coral from Australia, Roemer glass from Bruges, old brass keys from a deserted mansion in Newport and broken Venetian glass. Why did you feel that the photography should be your medium of choice vs. another medium like painting? Photography is a way to capture a moment in time and savor it. Were you ever academically trained as an artist? In high school I studied graphic design and very much wanted to work as graphic designer in advertising. However, somehow my path never led me there. I pursued art history instead. In the 1980s I took a class at The International Center for Photography in New York to learn how to use a manual Nikon camera and later in Santa Fe took a black and white photography class. I was immediately transfixed by the appearance of an image on paper from a bath of chemicals. Your pictures are beautiful in their own right, but you admit to being influenced by Old Master still life paintings. Why has this influenced you and your work to such an extent? Do any other photographers or artists influence you as well? 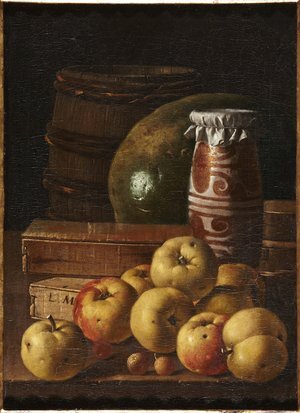 I have long been drawn to 17th Century Old Master Still Life painters such as Giovanna Garzoni, Francisco de Zurbarán, and Adriaen Coorte; in particular Zurbarán’s mysterious use of dramatic light, Garzoni’s masterful compositions and color palette, and Coorte’s unique placement of treasured objects. In the 1990s while living in Santa Fe, a painter friend introduced me to the paintings of Garzoni and Maria Sibylla Merian and thus began my fascination of the genre of paintings entitled Natura Morta. I love your appreciation for the simple pleasures you find in the midst of the chaotic city, and within your life in general. Why do you think appreciating the simple things is so important? Sometimes the simplest things in life are the most poignant ones – a kind gesture or word, experiencing the beauty of nature and its mysteries and how they affect us. In Wayne Andersen’s essay on your work, he talks about the idea of the still life being a vehicle for artistic liberty. Could you expand a little on how the still life grants you this? When creating a still life I am choosing the objects to tell a story and creating a romantic vignette. For example, in the photograph Lemons and Pomegranates, there is a leaf balancing itself against the antique plate, and the butterfly is delicately perched on a lemon. Each element has its own allegory. These Natura Morta still life images are intensely personal to me as they tell universal stories of the fragility of life and love, the fine balance of emotions, passion, sorrow, and the vulnerability one feels that life and beauty are fleeting – tempus fugit. Anderson also quotes you as saying, “Being a sentimental person, capturing moments in photography brings me back to past feelings so I can savor them again.” This is something I really identify with, and imagine a lot of other people do as well. Do you believe a memory can live on with only a picture to preserve it? No, because there are reminders of memories all around us; but memories can be embedded forever in a moment that is a photograph. You have also worked on many commercial projects including cookbooks, magazines, and movie sets. What has been your favorite project? Years ago, when I was living in Santa Fe, I worked as a prop specialist for seven Hollywood motion pictures. Working behind the scenes was fascinating especially working on Nixon with Anthony Hopkins, with George Clooney in The Perfect Storm, and Johnny Depp in The Astronaut’s Wife. Manufacturing props and creating lavish historic food scenes was a very exciting and unique experience. When commissioned by an outside party, are you allowed the same artistic freedom you would have shooting your own Natura Morta? In other words, what is the relationship between your commercial work and your fine art/gallery work? When I began photographing The Beekman 1802 Heirloom Cookbooks several years ago, they hired me because I was a fine art photographer and they were drawn to my “Old Master” style. They wanted me to photograph in a way that was more artistic than commercial. Sotheby’s Diamonds also hired me to photograph for Sotheby’s Art at Auction publication in which I created a curio vignette amongst their “Ricci” diamond rings with my collections of antiques, butterflies, and Venetian glass. You talk about your love for cooking originating from your childhood in a Sicilian household. Do you have a funny memory you could share? When I was growing up, all of my grandparents lived nearby, so Sundays we enjoyed family dinners together. Food was an integral part of our lively conversations; we were always discussing what we would be serving for our next celebration. The tradition continues on with my cousins and siblings – whenever we can, we get together and recreate my grandmother’s Sicilian recipes. What is your absolute favorite dish to make and/or eat? Spittinis are small veal rolls stuffed with salted pork and provolone cheese, covered with breadcrumbs, wrapped with bay leaf, and broiled. They are always a special treat and delicious! Do you think you will transition to other subject matter in the future? While studying the genre of 17th Century Still Life paintings entitled Natura Morta, I discovered and became fascinated with the Vanitas paintings of that same time period. I will begin a new series based on this genre of paintings. I was inspired by the imagery of 17th Century Old Master still life painters such as Pieter Claesz, Jacob Gheyn, and Harmen Steenwyck, whose works depicted a luscious tableau that spoke in hushed tones of the futility of life. The theme of Vanitas reminds us of the fragility of life, and the certainty of death. What do you hope people appreciate when they look at your pictures? The essence of Natura Morta and Vanitas still life paintings lingers with me as I create my photographs, and as one 17th Century painter revealed on a small slip of unfolded paper, “Eram Qvod es” (Once I was where you are now). I hope that years from now someone will stand in front of one of my photographs and be as emotionally touched by them as I have been with the works created so long ago. The stories told in these paintings resonate within me as I too search, gather, and compile objects from my personal collection of flora, fauna, butterflies, and antiques to create romantic vignettes inspired by these Old Masters. This interview is part of a series conducted by Holden Luntz Gallery, based in Palm Beach, Florida. 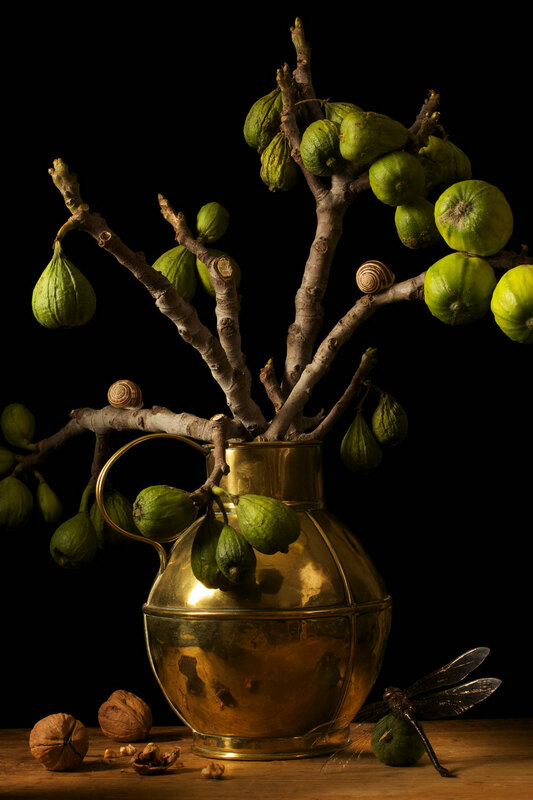 NEW YORK – Fine-art photographer Paulette Tavormina, whose work is inspired by Old Master still-life paintings, finds artistry in the details. "Beyond just the beauty, I want the viewer to see as I see, to feel the emotion I feel when a leaf balances just-so and points the eye to the next little narrative that is part of the larger work," says Tavormina. "This beauty all around us is fleeting, and yet can be embedded forever in a perfect moment that is a photograph." 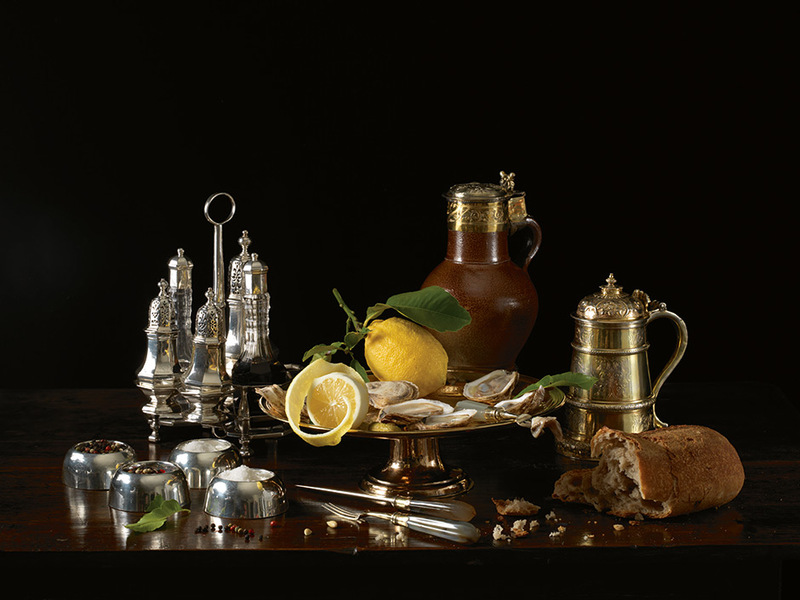 For Luxe: The Art of the Table, an upcoming auction featuring silver, European ceramics and 19th century furniture and decorative arts, Tavormina applied her expert eye to styling and creating evocative images with these stunning objects. Read on to discover more about Tavormina's fascinating process and collaboration with Sotheby's. PAULETTE TAVORMINA. PHOTOGRAPHER: BETSY PINOVER SCHIFF. In a few words, how would you describe your aesthetic? I think the words that resonate with me are “classically reminiscent.” I think that captures it. How did you first become interested in Old Master still-life painters? It started when I was living in Santa Fe. A close friend of mine Sarah McCarty, a wonderful still-life painter, introduced me to the work of Maria Sibylla Merian, a 16th-century botanist who was one of the first women who painted the metamorphosis of butterflies and flowers. I fell in love with her work. Then I discovered another woman painter from the Renaissance, Giovanna Garzoni. It's mostly very simple imagery – a bowl of figs with a butterfly or pears and flowers. That was in the 1990s when I became a photographer. You know how something just stays in your memory – twenty years later when I moved back to New York and started working at Sotheby’s again, photographing their auction catalogues, I thought, “I’m going to create this dream I’ve had for twenty years of actually setting up and photographing a still-life that’s inspired by the Old Masters.” Over the years, whenever I went to a museum, I would seek out the Old Masters and educate my eye. Then also because I was involved in photo styling cookbooks as well asa prop specialist in Hollywood, where a lot of the scenes I worked on involved food. It was a perfect storm of all those things combined that gave me the education and the confidence to create my own imagery. There’s almost a trompe l’oeil feeling to your work. What inspired you to respond to the Old Masters with photography? I love photography in that it captures a single moment of time in the click of a shutter button. That intrigued me, because I can keep that memory as a visual. To be honest, you cannot get any better than an Old Master still-life painting, because it depicts the life that they led and their personal histories. It displays all the quotidian articles that make up a person’s life. The two of those things just seemed to go so beautifully with my interests. Do you feel like changing the medium from painting to photography says or adds to the message of these still lifes? I think it makes it contemporary. Because I live in the present moment, it’s a contemporary image. I’m not creating a painting. I’m creating an essence. I’m creating and telling my own story. The symbolism I put in my photographs are my personal vignettes. It’s a way for me to visually express what’s important to me. I feel like your photographs are so much about light as well. One of the reasons I fell in love with the Old Masters is because of their sense of light. There’s a mystery about it. Not everything is lit up and perfectly clear. A lot of things are in the background are darkened out, other things are prominently lit. I use different sources of light, primarily strobes, and whether it’s a reflector or little spotlights, I place them just so for the highlights. I remember years ago someone told me that there’s only one source of light – the sun. But then when I was reading Caravaggio he talks about how he can act as God and have whatever source of light he wants to use. He can light a candle in a certain area in his set-up to paint that light source, but then if he wants to, he can move that candle to paint it another way. So I thought if he can do that, then I can too! As a photographer it is wonderful to be able to direct and have full control of the imagery to tell a story. You mentioned on your website that the process of going to farmers' markets to choose what to include in your images is very imporant to you. What are you looking for? When I work on a photography shoot, I spend a lot of time at the flower market here in New York. I envision what the imagery will be, what the colours and the shapes of the objects will be, and then I have to figure out what is this all about. For instance with the Sotheby's photo shoot – is it a woman’s dressing table? We’re going to have tea for two, what’s in this scene? Who’s going to be sitting and drinking the tea? Size is really important, because you can’t have gigantic flowers with a tiny little teapot. I’m constantly looking for colours, shapes and sizes that will nestle in with all of the beautiful objects and will help tell a story. If I go to Paris, I’ll go to the flea market. The last time I was there two years ago I was creating a Vanitas series, which incorporated skulls and birds and such. I’m always on the lookout for small antique objects that help to tell a story. In Paris I bought a small taxidermy bird, which is in Vanitas VI, as well as a tiny scale that’s in the same photograph. A year later I went to the National Gallery in Washington, DC, to see the Vermeer paintings, and saw one Vermeer with the identical scale. I also collect butterflies, ladybugs and insects. I have boxes and boxes of those in my apartment. When we were working on this Sotheby’s shoot it was really fun, because we wanted to incorporate a little ladybug or butterfly. We have a caterpillar in one and a red butterfly in the gold vignette to add a little drama and pop of colour. It sort of adds to the whole composition. The Old Masters incorporated butterflies and insects to help tell their stories. Did you have a story behind the vignettes for the Sotheby’s shoot? I think the antique pieces tell their own story. They’re such beautiful works of art that I was just really just embellishing their history. The beautiful tray lent itself to oysters and a lemon peel. In that scene, we could have a wonderful little story about who is eating the oysters; someone is sitting there breaking bread and ready to put an oyster in his mouth. For the scene with the blue teapot, I scouted around for beautiful scones, but couldn’t find any – so around seven the morning of the shoot I baked my own. Nothing like handmade scones! I wanted them to look nice and brown with little walnuts and cranberries. I don’t know if they tasted very good, but it’s about the visuals. Then for the vanity scene, I knew I wanted to use hydrangeas. I was so happy to find the pale pink ones that went perfectly with a woman’s vanity. I was happy to create imagery in my Old Master style, because it lent so beautifully to everything. There’s a mystery behind these objects, because they have so much history – you can imagine someone living with that jewellery box. When I worked on my Vanitas series there was an Old Master still-life painting I had seen that had a cartouche, a little piece of paper, that read "Eram quod es," which translates to “I was where you are now.” I thought that is the whole crux of this. Imagine a painter painting his still-life, and realising that one day he would no longer be – but his painting would continue to exist. It is the continuum of life. To see the full shoot and learn more about the property featured, click here. The Robert Mann Gallery is exhibiting my Orchard Pears, 2016 so hope you will be able to stop by. The booth number is 306. This year it is being held at Pier 94 (711 12th Avenue). Paulette Tavormina is to deliver a public lecture in connection with the exhibition Seizing Beauty: Photographs by Paulette Tavormina at the Snite Museum of Art on the campus of The University of Notre Dame. The lecture is scheduled for September 8, 2016 at 5:00 p.m. and is open to students, faculty and the general public. I was thrilled to receive word from the Pollock-Krasner Foundation, Inc. that I have been selected as a 2016 recipient of a Pollock-Krasner grant. The foundation was established in 1985 "for the purpose of providing financial assistance to individual working artists of established ability". It was established at the bequest of Lee Krasner, an American abstract expressionist painter and widow of fellow painter Jackson Pollock. The Snite Museum of Art at The University of Notre Dame opened its exhibition Seizing Beauty: Photographs by Paulette Tavormina on August 21, 2016. The exhibition, which continues through November 27, features 29 of Tavormina's photographs. On May 27, 2016, PDN Online, the online publication of Photo District News featured a set of Paulette's photographs under the title "Lush Life" in it's PDN Photo of the Day series. Click here for a link to the page. Holly Stuart Hughes of PDN Online writes: "While the Old Masters showed off a dazzling ability to render the skin of a peach using brush strokes, Tavormina's virtuosity is in her meticulously accurate recreations of the warmth and drama of Old Master paintings." Rizzoli Book Signing Set for May 11 from 6:00 to 8:00 p.m.
On April 27, 2016, Architectural Digest posted a review of Paulette Tavormina: Seizing Beauty, published by The Monacelli Press. Reviewer Jennifer Fernandez writes "each shot is at once classic and of-the-moment, a meditation on the fleeting nature of life and love as interpreted through Tavormina's romantic lens." The special edition set, which is limited to 30 editions, is comprised of a signed copy of the newly published monograph, Paulette Tavormina : Seizing Beauty, in a beautiful cloth slipcover, together with a choice of one of two limited edition archival digital prints. The two prints which the purchaser can choose from are Peaches and Hydrangeas, After G.G., 2015 or Vanitas IV, Dreams, After A.C., 2015. The special edition prints are each printed on 10" x 12" Hahnemühle photo rag paper. The price is $1,000 plus shipping and handling of $30. Please contact Paulette at paulettetavormina@gmail.com or 516-770-6278 to place an order. On April 20, 2016, The New York Times published a review by Gay Gassman of the newly released Paulette Tavormina : Seizing Beauty in its online T Magazine. The article was headlined Vivid Images That Aren't Old Masters - but Look Just Like Them and included a slideshow of 18 images. Then, in its April 24, 2016 print edition, The New York Times published a portion of the review. The article, also by Gay Gassman and headlined Master Photographer is reproduced below. 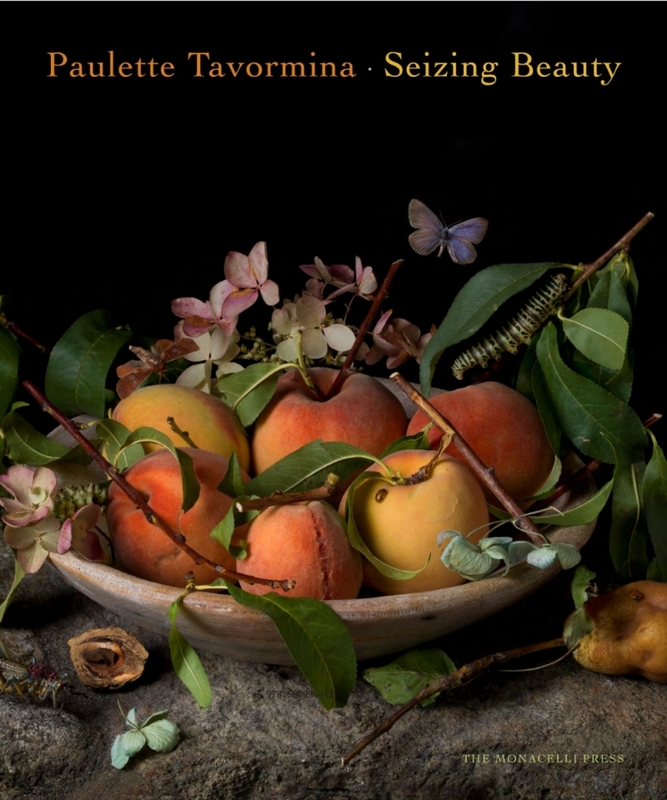 I am thrilled to share the news that The Monacelli Press will be publishing a 160-page monograph, Paulette Tavormina: Seizing Beauty, in April 2016. 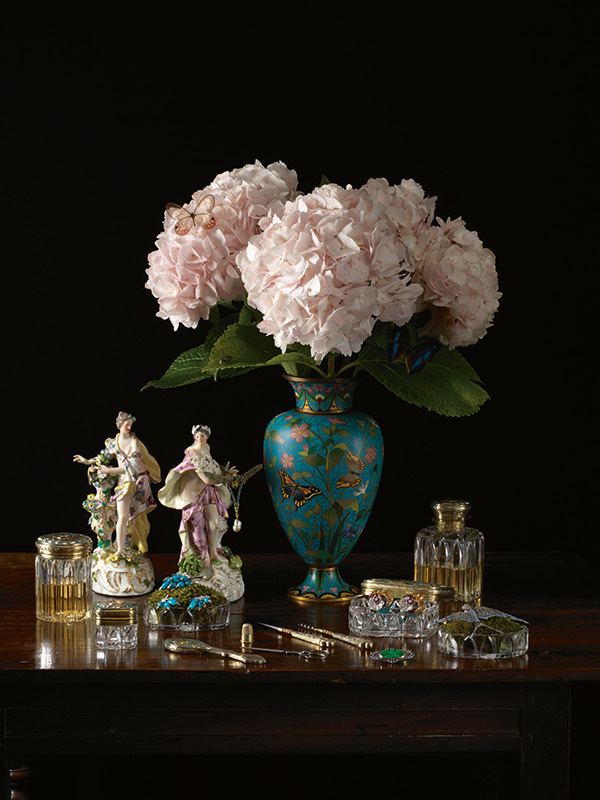 In advance of the release, Robert Klein Gallery and I are proudly offering a special edition set comprised of a signed copy of Paulette Tavormina: Seizing Beauty in a cloth slipcase together with a choice of one of two images (shown below): Peaches and Hydrangeas, after G.G., 2015, or Vanitas IV Dreams, after A.C.,2015. The print edition is limited to 30 and is inclusive of both images. The proceeds will fund my first solo museum show at The Academy Art Museum in Easton, Maryland, which opens in April 2016. The special edition set retails for $1,000 plus shipping. All books will be delivered late April or early May 2016. The sizes of the prints are on 10"x12" Hahnemühle paper. Still lifes have intrigued artists since the beginning of recorded time. From ancient Egypt, where they adorned the walls of tombs, to the Renaissance, which introduced the genre into the cultural mainstream, the still life has been continually explored and refined, a process that continues today. For photographers, the still life presents unique challenges, as technical lighting skills merge with composition and design to bring an image to exquisite life. Accomplished fine art and commercial photographer Paulette Tavormina begins this five-day workshop by reviewing the history of the still life, providing context and inspiration for our creative endeavors; a visit to a local photography gallery enhances this contextual process. Next she discusses and demonstrates techniques for building a still-life photograph, from conception and propping to composition and lighting, through to the final image. We explore sources of inspiration, finding objects, selecting surfaces, and building sets, while paying close attention to prop positioning, and color theory. A keen focus is placed on lighting to ensure that we heighten the desired emotional impact of our imagery. Every morning Paulette leads critiques, followed by assignments that take the group rummaging throughout Santa Fe for subject matter. Fruits, vegetables, and flowers are sure-fire options, but we also seek out more exotic alternatives. Each day builds on the previous as we achieve a higher level of craft—and a deeper understanding of our own personal aesthetic and style. Photography dealer Kathy McCarver Root and her gallery , KMR Arts, are hosting an exhibition of photographs by Paulette Tavormina. The exhibition will run from November 21, 2015 through January 2, 2016 with an opening reception on Saturday November 21. KMR writes "rawing inspiration from Old World artists, Paulette Tavormina renders luscious fruit, flowers, and food with a painterly eye to create rich tableaux. These intensely personal photographs bring to light the evocative life cycles of flora and fauna, imperfect in their vigor and subsequent decay."